Someone Pinch Poncho: Latin-jazz legend Poncho Sanchez can’t believe his life sometimes. With a down economy, there are fewer shows and, subsequently, more house parties. Sanchez said he had just finished cleaning his front yard, the aftermath of his grandson and granddaughter’s baptism party. “Now, it’s ready for another party,” Sanchez laughs, showing that this 58-year-old Mexican-American musician hasn’t slowed down a bit. That big-eyed view of the world—and lots of elbow grease—has helped Sanchez reach the top of the Latin-jazz heap. “It’s taken a lot of hard work. You don’t just blow up all of a sudden. Well, maybe if you’re a pop act, but not in jazz. Hell no,” Sanchez says. 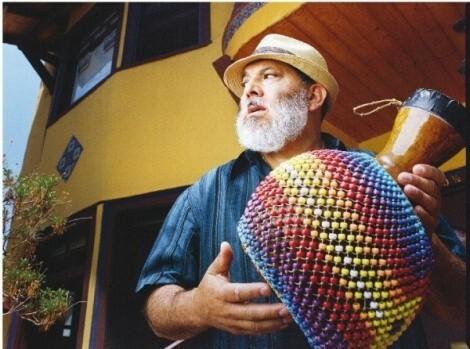 Over his long career, he’s used every crayon in the jazz coloring box—an approach that results in an aural psychedelic Latin-American fiesta. He’s dipped into soul, funk and Latino grooves, but for his 24th album, 2009’s Psychedelic Blues, he’s shaken up a musical martini of straight-up, no-frills jazz—a throwback to the ’60s and an homage to his heroes, but with a twist of his signature Latin lime. The CD begins with Herbie Hancock’s “Cantaloupe Island.” Smack in the middle, there’s a medley of Afro-Cuban jazz percussionist Willie Bobo tunes; one, “Fried Neckbones and Some Homefries,” is as delicious as it sounds. Then, aided by Arturo Sandoval, comes Freddie Hubbard’s “Crisis” chacha-cha-ified, and Horace Silver’s swing tune “Silver’s Serenade” turned into a mambo. Sanchez’s is the final concert of the 16th season of the GAM Foundation’s JazzSLC series; other performances this year included Dianne Reeves and Chick Corea. GAM Foundation founder Gordon Hanks, discussing the series, says, “The impetus was to expose college, high school and junior high jazz students to live jazz; young people just weren’t being exposed.” GAM donates 200 tickets to more than 45 local schools for each concert. Hanks believes he’s made a community-wide impact and says former students still thank him for the experience.